I was thinking this morning..... I checked into a small country-side hotel recently and found this notice by the shower, 'The building is of some age now and as such some of the pipe works are temperamental.' At this point I froze and looked around me to be sure I haven't already annoyed any pipe, not knowing what to expect. 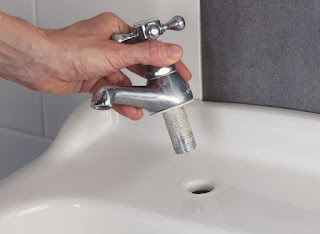 Having made sure there are no angry pipes waiting to knock my head, I continued reading, 'If your shower does not work immediately when turned on, then please turn on the sink tap or bath tap which will activate the water to the shower.' Phew!!!! How relieved I felt. That statement got me thinking. So age can make the pipe works temperamental? No wonder!!! That explains why my internal pipe works have been behaving funny of recent. Eba (garri) was a meal I usually eat with delight until recently when after eating I couldn't explain the reaction of my body. 'What's going on here?' I had imagined. Now I understand that age had made my internal pipe works temperamental. My 'shower' was not ready to work immediately. For many, it also explains why your legs and heart have been angry with you recently. The same legs and heart that will cooperate with you and you jog ten or more blocks some years ago, same legs and heart are now behaving like a man that recently lost his job . The legs have been surprisingly temperamental. The 'shower' was not ready to work immediately. Think about it, you use to coast along when your babies or toddlers turn your house upside down. Now 15 years after, your friend came visiting with her children and they are messing up your living room. You are fuming inside, having that scorpion-in-the-stomach experience.... you know why? Age has made your 'emotional pipe works' temperamental. Your 'shower' has become cranky and not working as it should. You joined your organization as a freshman, very alive and can sit in meetings all day long contributing to every presentation. Now you are a senior manager, struggling to keep awake at meetings after lunch and late on in the day. Hmm!!! Age has made your mind and eyes temperamental. Your 'shower' is failing you, so you may need to turn on the sink or bath tap to activate the water. Are your pipe works temperamental and your shower not working as expected, then turn on the 'divine help' tap to activate the flow. I was thinking this morning..... we were watching the Stoke vs Arsenal match yesterday and with Arsenal leading 4:1, an Arsenal defender, Rob Holding gave the Stoke striker a bad shove and the commentator screamed, 'that is reckless, that is cheating.' And my co-in-law watching the match with me, added, 'that is corruption.' Hmm!! It got me thinking about lawlessness, corruption and the 'Comeycal Treatment.' Yes, we understand corruption and lawlessness but 'the lawlessness of corruption' and 'Comeycal Treatment' (thanks to Dagogo Buowari) are recent vocabularies gaining ascendancy. Oh, I remember the good old days while in secondary school. We kept a notebook of vocabularies, where we write new words we come across daily. Surely, 'lawlessness of corruption' would have made the cut and entered my book of vocabs. Where did that term come from? I first came across it when I read the published statement of Catholic Archbishop Emeritus of Lagos, Cardinal Olubunmi Okogie titled 'Do we have a nation?' He had given a long list of disturbing indices in Nigeria and amongst the lot is what he called 'the lawlessness of corruption.' Hmm!!! I was thinking, how can corruption be lawless? If there is lawless corruption, could there be 'lawful corruption?' 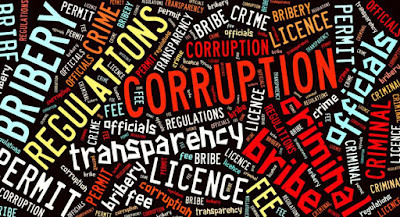 As I wondered, it occurred to me that when the citizens are involved in corrupt practices, it is corruption, but when lawmakers, law-enforcement agencies or the custodians of the law engage in corruption, then that is 'lawlessness of corruption.' Abi beko? The cycle was completed when the DSS itself, the chief hunter, was involved in a recruitment scandal, at which point I threw my hands in the air in submission. 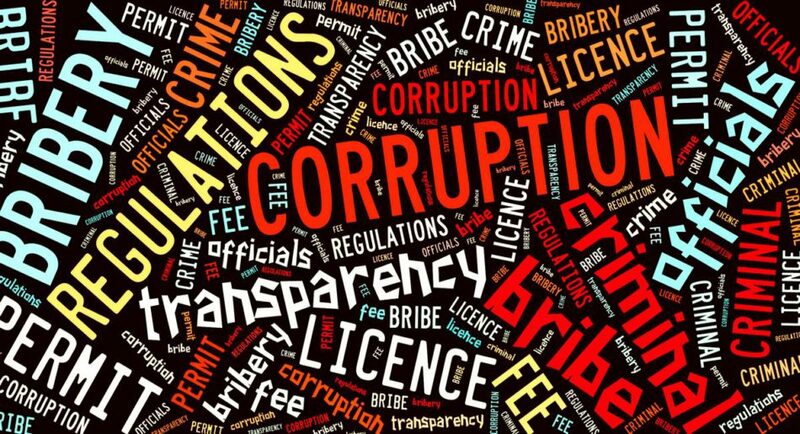 As I made to end this frustrating line of thought on 'lawlessness of corruption' and how we have failed to react appropriately, I drifted to Donald Trump and his co-conspirators in government. They were being investigated by the FBI on the Russian connection, which to me, was looking like 'lawlessness of corruption.' Will the reaction be same as Nigeria? Hell No! Before the Senate could intervene, Don T. released the antidote - the 'Comeycal Treatment.' The FBI director, James Comey was sacked. Hmm!!! Truly, it is a Babylonian world. So, whether in government circles or private sector, watch out for the 'lawlessness of corruption,' but before you react, think about the 'Comeycal treatment.' Nevertheless, do not despair for our nation, for though against hope, I still believe in hope (Romans 4:18). 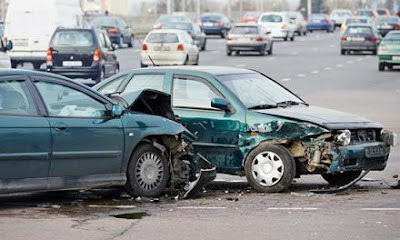 I was thinking this morning.... about the dilemmas we face on our roads. Last Sunday in Lagos as I was driving home along the Lekki-Epe expressway after a wonderful service, I observed an open-back commercial van used commonly in Lagos for carrying blocks, waiting to make a u-turn. Anticipating that he will make the turn not minding on-coming vehicles, I slowed down as I watched him justify the notorious reputation they are known for. He immediately turned into the road shoulder and with relief, I took my foot off the brakes and stepped on the accelerator. My mistake! 'Bang' followed by 'kpakishhhhkereeerraccchtluck.. ting..ting..ting" was the next event and sound I heard. The driver had immediately left the road shoulder, entered my lane and crashed into my car causing serious damage to asset. Thankfully, my young wife and I were unhurt. My question; 'what are these merchants of death doing on our roads?' It's a dilemma! The incident brought back memories of how a former boss of mine lost his life when his saloon car ran under the famous 'agbegin lodo' truck, when the driver decided to make that satanically inspired u-turn. Again, I asked myself, what are these merchants of death doing on our roads? In my reflection, I found out, according to the National Bureau of Statistics, that there are 11.5 million vehicles in Nigeria with about 6 million of them being commercial vehicles. Wow!!! Six million vehicles and drivers with no regard at all for road safety. What are these merchants of death doing on our roads? it's a dilemma! The USA has a total of 253 million vehicles with about 11.5m scrapped in 2014 alone. Trust me, more than half of that scrapped number ended up in Nigeria. Consider this, when we came out of our vehicles after the accident, there was no visible damage to the truck, but as for my car, the impact can be akin to the bashing an 'aje-butter' boy gets from a fight with a street child (or aje-kpako as they're referred to in Warri). Hmm!!! What are these merchants of death doing on our roads? It's a dilemma! Shockingly, when the driver stepped out, he was cocooned in the smell of alcohol and hemp with a bottle of 'skian,' 'kparaga,' gin or whatever it was, in his pocket. Immediately, everyone around that witnessed the incident gathered and started pleading that I forgive the 'murderer' and not invite the police. I was thinking and did tell the crowd, if we always let these guys get away with their reckless behaviours, how will things change? But the biggest question to me was, 'what are these merchants of death doing on our roads?' It's a dilemma! As I departed the scene that day, I recalled the words of 2nd Corinthians 1 vs 10 that says, 'Who delivered us from so great a death, and doth deliver: in whom we trust that He will yet deliver us.' As you go out today, watch out for these merchants of death and be circumspect. Collectively, we must chase them out of our roads and eliminate the dilemmas.